We are being bombarded with a whole host of new smartphones being released at the moment from a variety of different manufacturers and platforms. There is some where the bundled camera is one of the main selling features of the handset, and we are now looking at the iPhone 5S vs. Nokia Lumia 1020 to see which one is the specs winner. The iPhone 5S was launched by Apple a couple of days ago while the Nokia Lumia 1020 has been known about for a while now as is also due for release shortly, but how do they compare spec wise? The Nokia Lumia 1020 has a 4.5-inch display at a resolution of 1280 x 768 at a 334ppi pixel density which compares to the iPhone 5S at 4-inches with a resolution of 1136 x 640 and 326ppi. Under the hood of the iPhone 5S is the new A7 processor that is believed to be dual core and clocked at 1.7GHz and 1GB of RAM, while the Lumia 1020 has the dual core Qualcomm Snapdragon S4 processor clocked at 1.5GHz with 2GB of RAM. The Nokia Lumia 1020 has 32GB of internal storage as well as 7GB free cloud storage but there is no expansion possible, which is the same for the iPhone 5S that has either 16GB, 32GB, and 64GB of onboard storage. Nokia has provided a 41-megapixel rear facing camera wit PureView technology along with a Xenon flash, while around the front is a 1.2-megapixel unit. The iPhone has an 8-meagapixel rear facer with the new TrueTone flash and around the front is a 1.2-Megapixel FaceTime shooter. 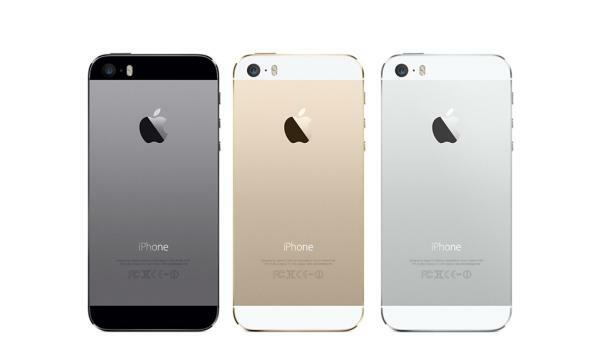 The iPhone 5S measures 123.8mm x 58.6mm x 7.6mm weighing 112grams, which compares to the Nokia at 130.4mm x 71.4mm x 10.4mm at 158grams. Apple’s new handset is powered by a 1,400 mAh battery that is promised to provide up to 10 hours of talk time and over 10 days of standby, which compares to the Nokia that uses 2,000 mAh unit that promises 12.5 hours of talk time and 16 hours of standby. The iPhone 5S will come running the iOS 7 operating system while the Nokia is on Microsoft’s Windows Phone 8 OS. Which handset would you rather own? I’d rather a new Galaxy Note 3. But if I had to choose from these two, I’d take the Lumia 1020.